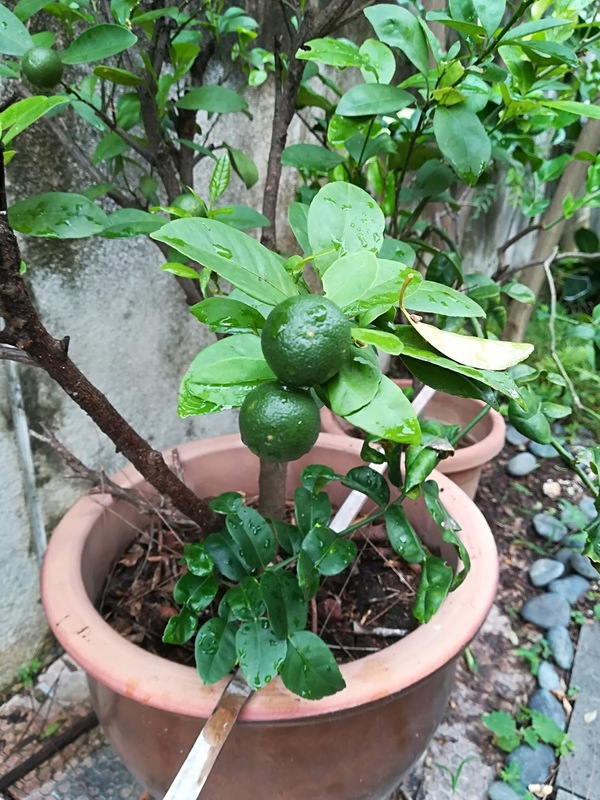 Three types of citrus plants are currently being grown in pots in my backyard. They are lemon, lime (limau nipis) and calamansi (limau kasturi). 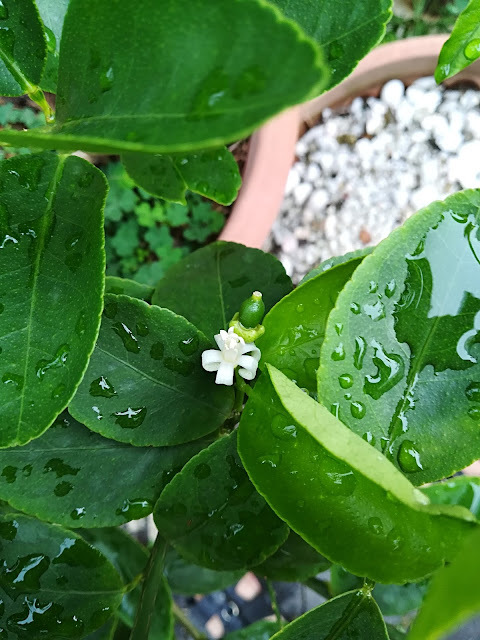 My lemon plant was purchased maybe about a year or so ago and it has produced flowers numerous times but none of them had turned into a fruit before this. 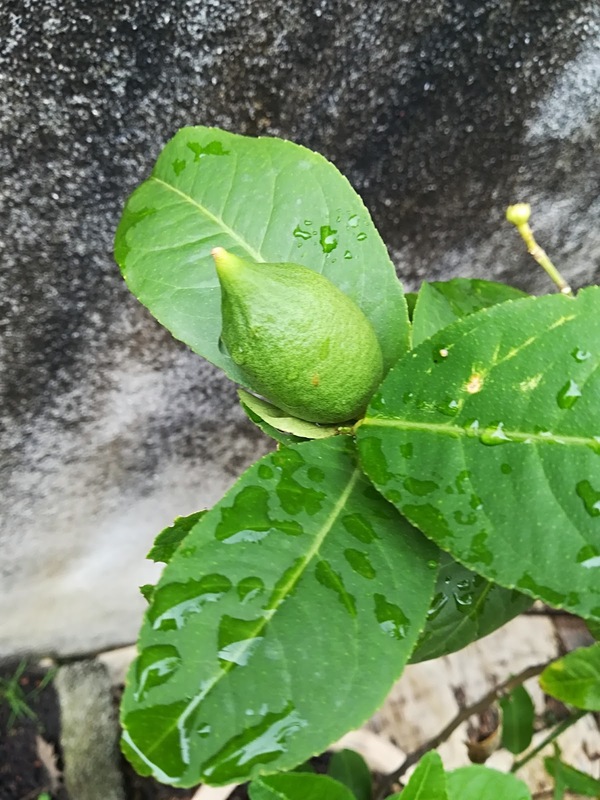 The recent first fruit it produced had a stunted growth and fell off prematurely. 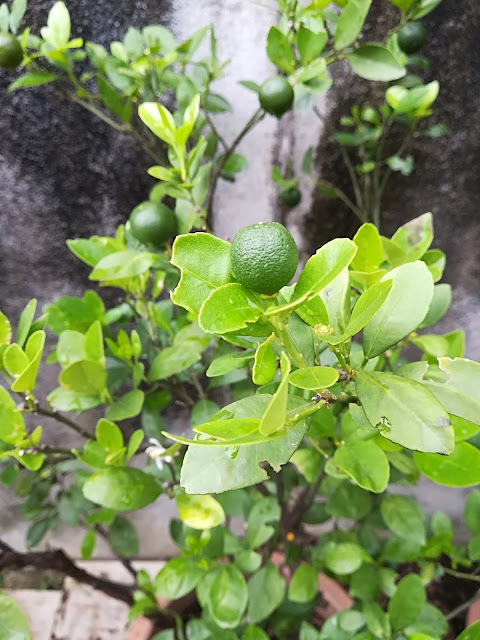 Then 3 weeks ago I added a few spoons of organic granule fertiliser and now many of the flowers had finally turned into fruits. They look like they're growing pretty well and am hoping they stay this way (fingers crossed!). 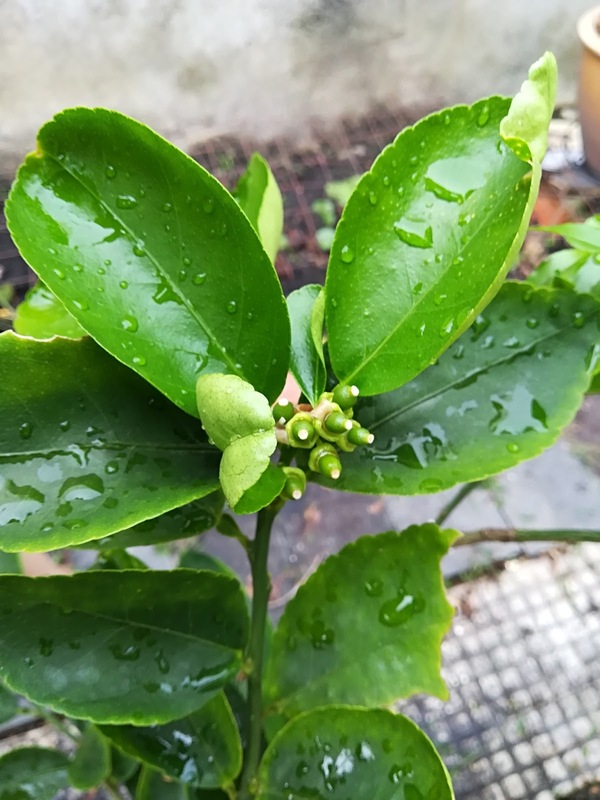 Also, finally my lime plant has started to show two clusters of baby limes (yippee). So cute! 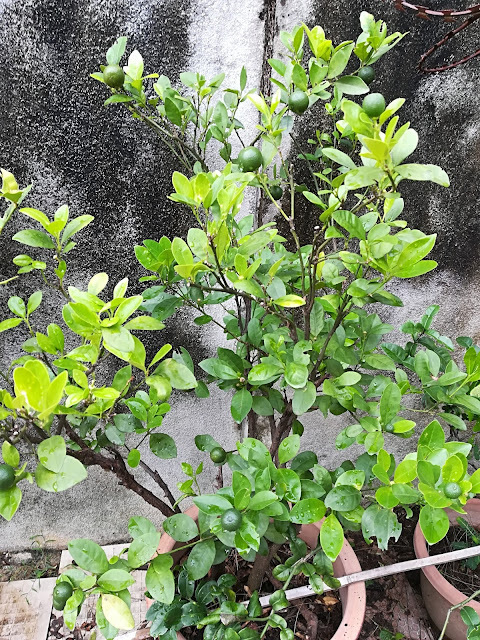 My calamansi plant was given to me by my sister, maybe 2 years or so ago, who at that time was helping her golf resort company to get rid of several pots of the plants which the company had bought for Chinese New Year decoration. So far, this plant has not failed me, as it is continuously producing fruits all year round. 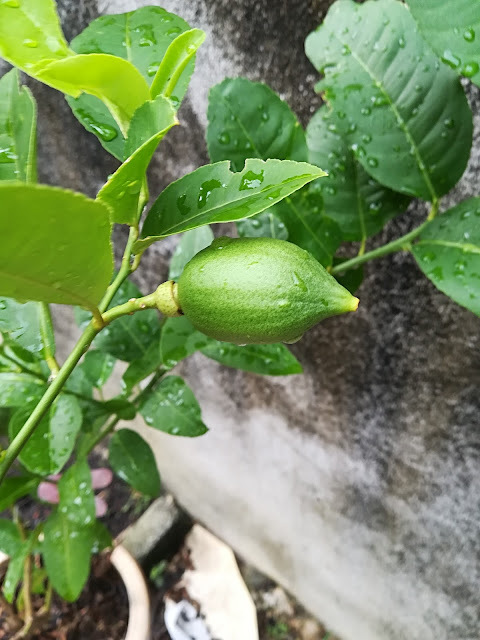 The lemons are so cute! I am still waiting for mine to flower. Banyak limo! I also harvested some from my plant today. Happy Gardening! Hi, I'm Petite Nyonya. On The Green Side Of Life chronicles my love for gardening and the green therapy I soak myself in every now and then. My tiny backyard sits on the lowlands of Selangor, Malaysia. Despite having a small space, I try to grow as many plants as I can and so far, it has given me a variety of chemical-free homegrown edibles and most of all, immense joy! 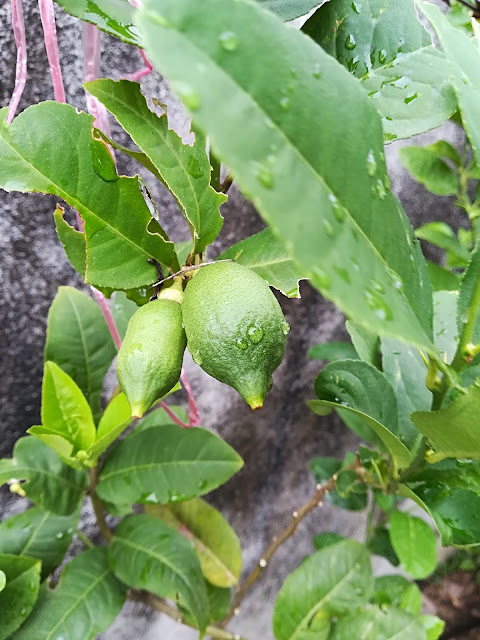 Gardening & Recipe Blog. Grow Your Own Vegetables. South East Asian & Chinese. England (UK).